“MAS and SGX RegCo have concluded that there are significant uncertainties about the financial position of New Noble,” the statement said. “It would be imprudent to allow the re-listing as investors will not be able to trade in New Noble’s shares on an informed basis. MAS and SGX Regco will therefore not allow the re-listing of New Noble to proceed,” it said. That was after a “careful review” of the findings from the on-going investigations into Noble and its subsidiary, Noble Resources International (NRI), by the MAS, the Commercial Affairs Department (CAD) of the Singapore Police and the Accounting and Corporate Regulatory Authority (ACRA), the statement said. In mid-November, ACRA, CAD and MAS said Noble was under investigation for suspected false and misleading statements and breaches of disclosure requirements under the Securities and Futures Act, while NRI was under investigation for potential non-compliance with accounting standards. At the time, Noble said it would cooperate with the investigation, and then subsequently added that it would extend the timeline for its restructuring. Noble did not immediately respond to Shenton Wire’s request for comment on Thursday. 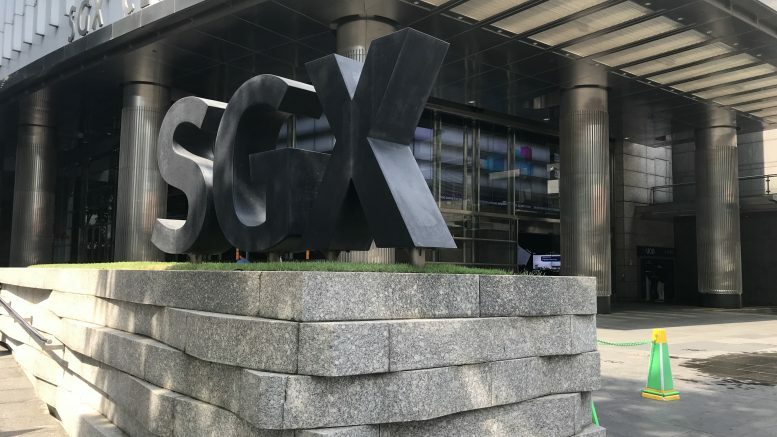 But the authorities highlighted on Thursday that Noble had submitted to SGX RegCo a simulated set of financial statements to show how New Noble’s financial statements would appear after including the potential accounting non-compliance ACRA cited in its letter to NRI. That simulation showed New Noble’s net asset value (NAV) as of the end of 2017 could be around 40 percent lower and about 45 percent lower as of 31 March, which would be in addition to more than US$2 billion in writedowns Noble made in 2017, the authorities said. “There could be even further reductions in New Noble’s NAV arising from investigations by CAD and MAS that extend beyond the potential non-compliances with accounting standards,” the statement said. “CAD and MAS are looking into other relevant areas in connection with the preparation and disclosure of [Noble Group’s] financial statements, including valuation of commodity contracts and other related assets. The findings arising from these investigations could potentially lead to a further erosion of New Noble’s NAV,” it said. The authorities said they have been “carefully reviewing” allegations against Noble since 2015, even with clean audit opinions from the company’s auditors for the 2014-2016 financial years. The review included information related to Noble’s substantial writedowns in late 2017 and early 2018, and this, along with other information, was the basis to begin an overt investigation into potential breaches of Singapore laws, the authorities said. The joint investigation comes as the years-long drama over the troubled commodity trader had appeared to be reaching an end. Noble has faced a gamut of a once-anonymous critic, Iceberg Research, whose allegations of accounting issues had weighed its share price, as well as a prolonged commodity-price slump which sapped its earnings over a period of years. The company also faced controversy over the twists and turns in its efforts to restructure into New Noble and leave behind much of its debt. The long-running restructuring drama had appeared to be at an end last month, when Noble requested its shares be suspended from trade permanently. The shares closed at S$0.081 on that day, a far cry from their height of around S$18.14 touched in early 2011.